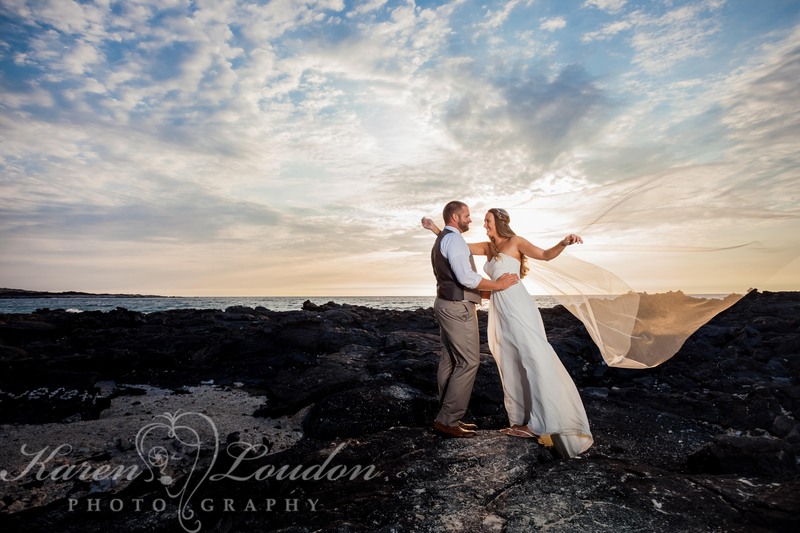 ‘Trash the dress’, the fearless bride or ‘rock the frock’ is a style of wedding photography that is becoming very popular with wedding photographers and brides all over the world. 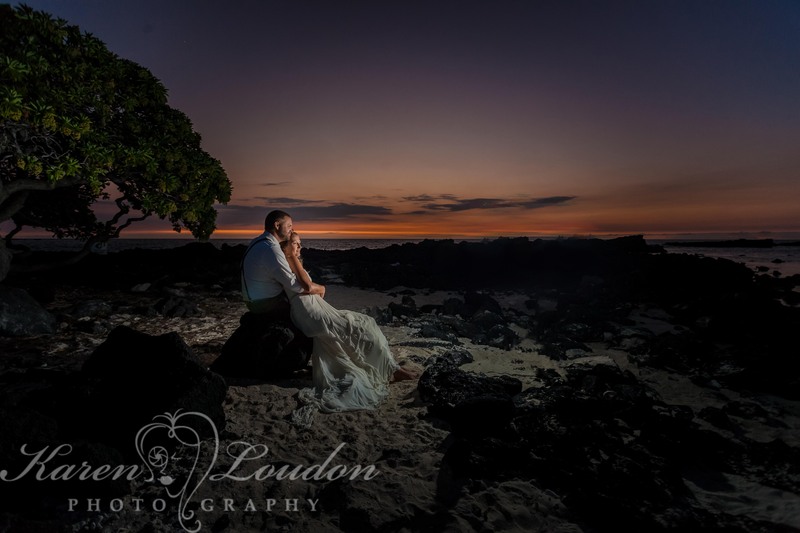 A trash the dress photography session is the perfect opportunity to add different styles to your wedding photos as you have more time, and feel much more relaxed than on the day of your wedding. 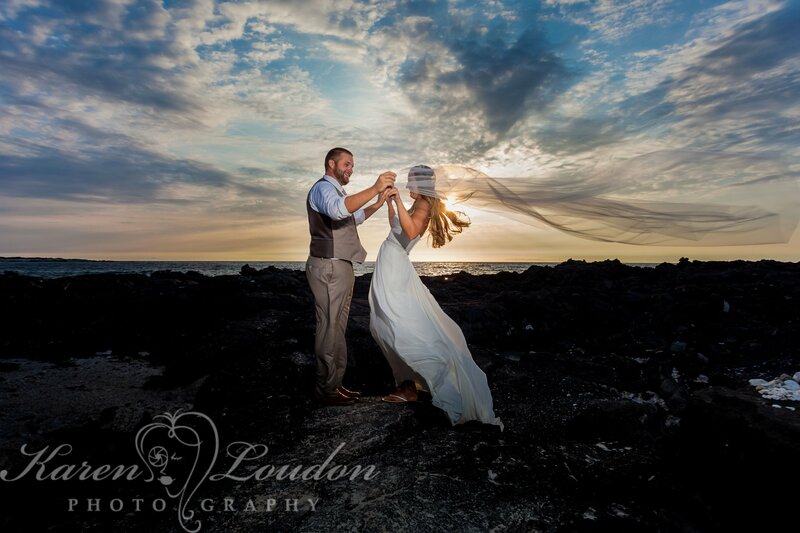 This type of session also allows you to get into situations at some unusual locations that you would not dare try on your big day. 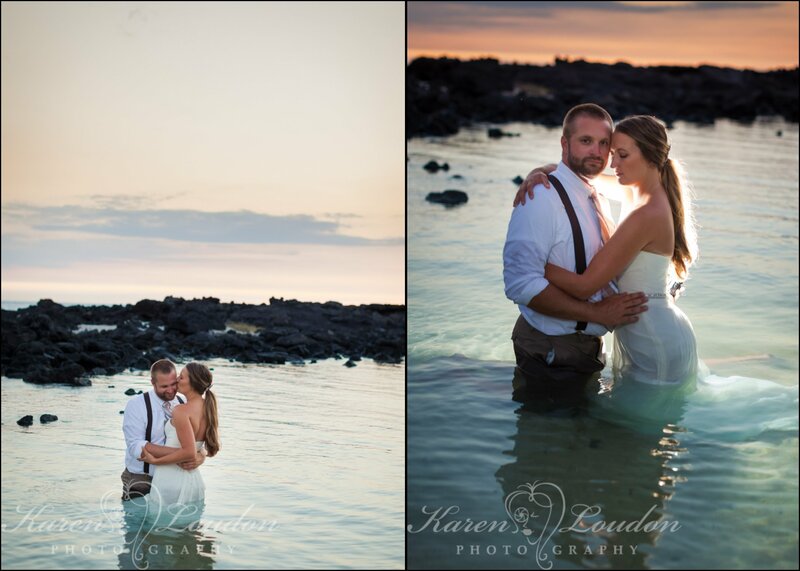 Sheri and Phil chose Kukio for the location of their trash the dress session, it’s a nice shallow bay just north of the Kona Airport. 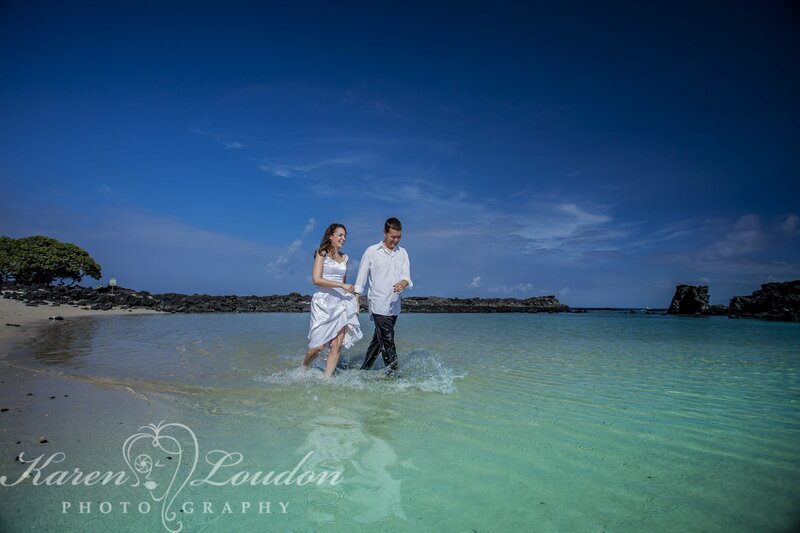 I like it because it’s protected from waves and currents, making it a safe location for submerging in the water with your dress. 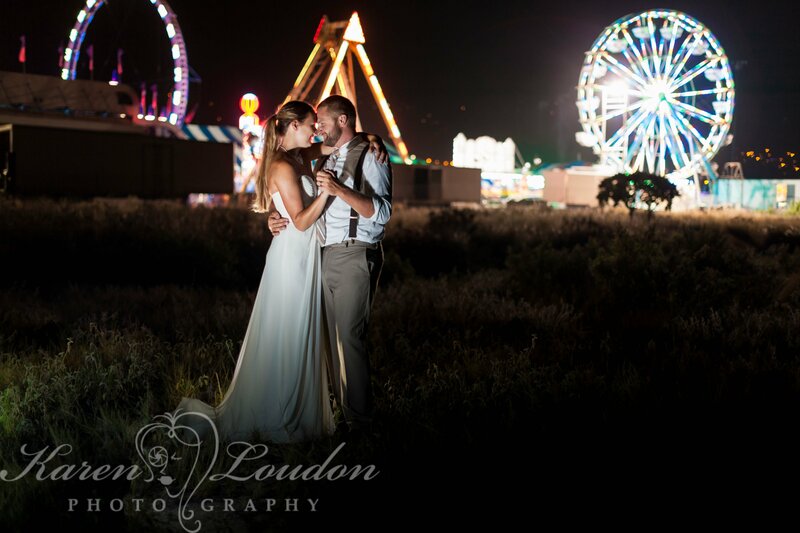 We then headed to the State Fair at the Old Kona Airport, the site of Sherri and Phil’s first date, and we just had to take a photo in front of the ferris wheel ! 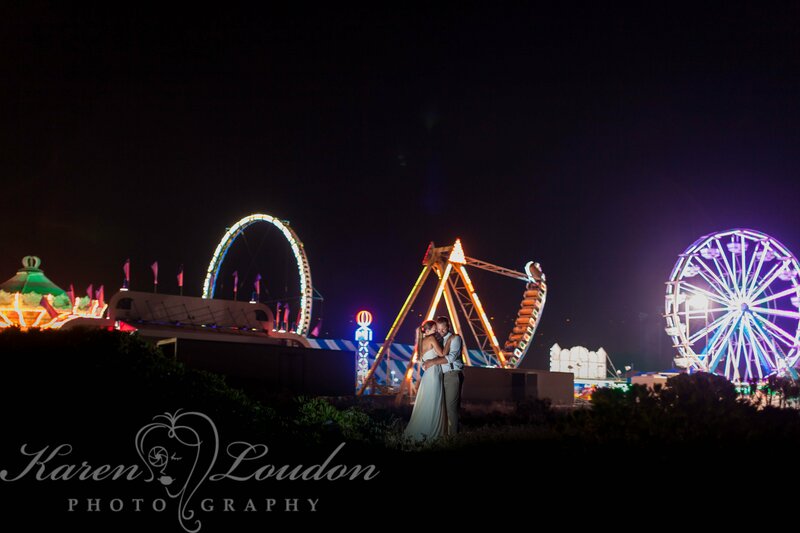 The lights of the carnival come alive at night, it’s such a fun backdrop for photography! 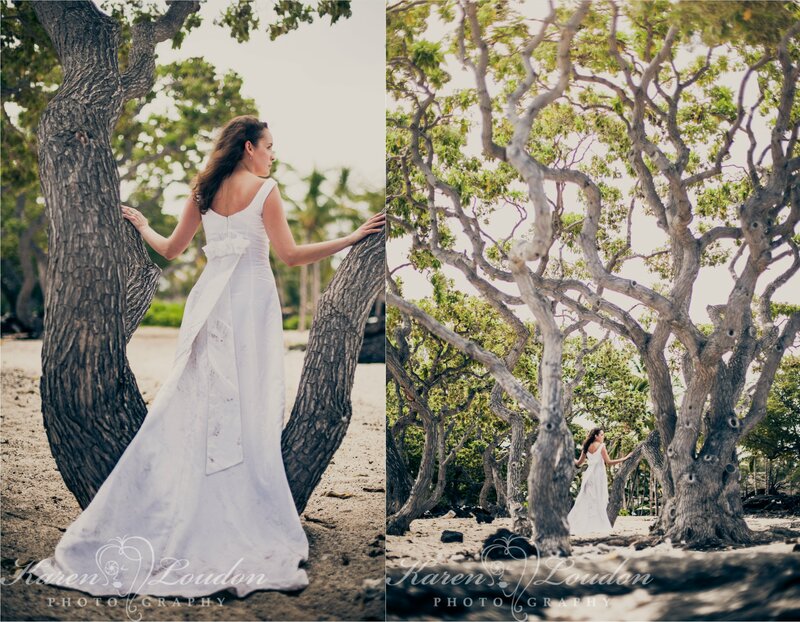 Sheri’s dress was not actually “trashed” during our session. A professional cleaning service restored the dress, enabling her to preserve it. 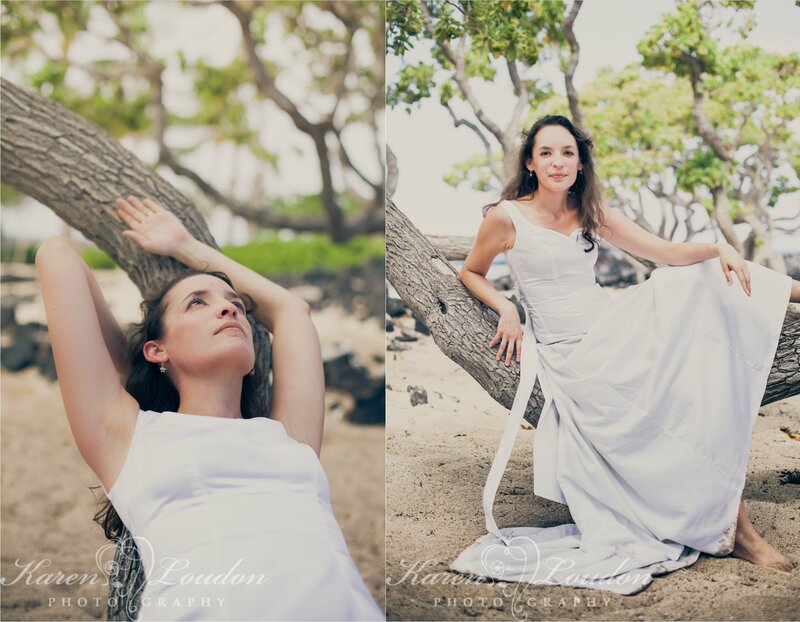 I find that before the wedding some brides think they would never go for a trash the dress shoot, but when the wedding is all over and there is a real feeling of anti-climax because the wedding dress is left hanging in a wardrobe, they start to think, why not? 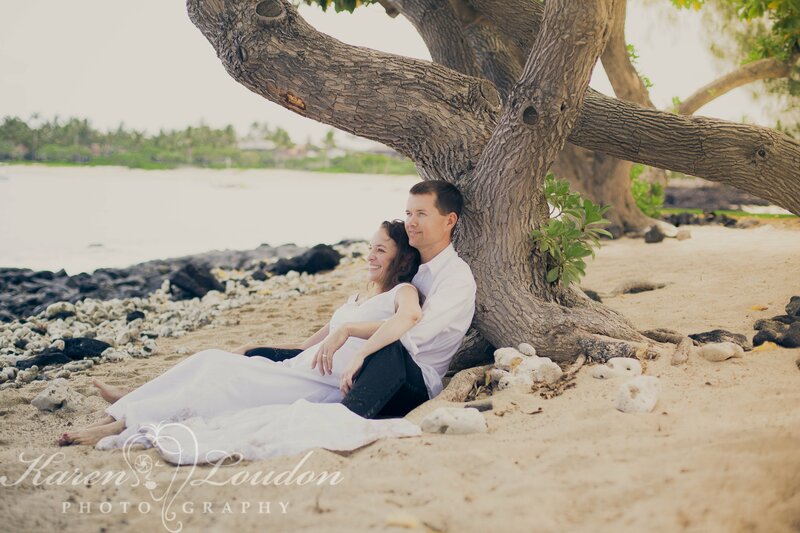 I have brides that bring their dresses along with them to Hawaii on their honeymoon or anniversary (sometimes many years after the wedding) for a trash the dress session. 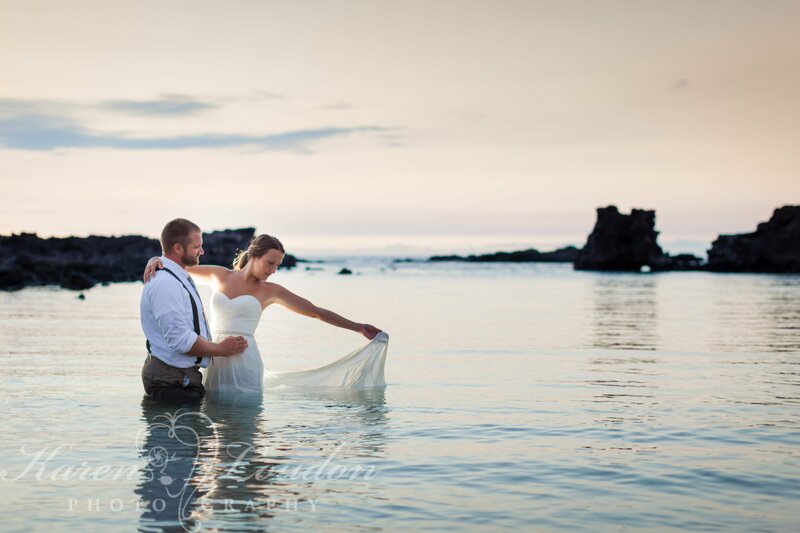 The concept of trash the dress is a relatively new tradition and as far from your grandmother’s wedding had as you could imagine. 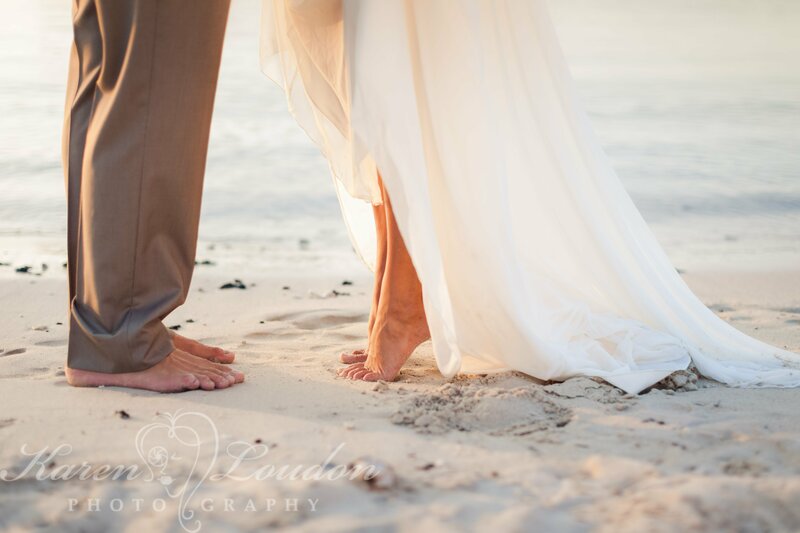 Your grandmother would have kept her wedding dress in the hopes that her daughter or granddaughter could make use of it. 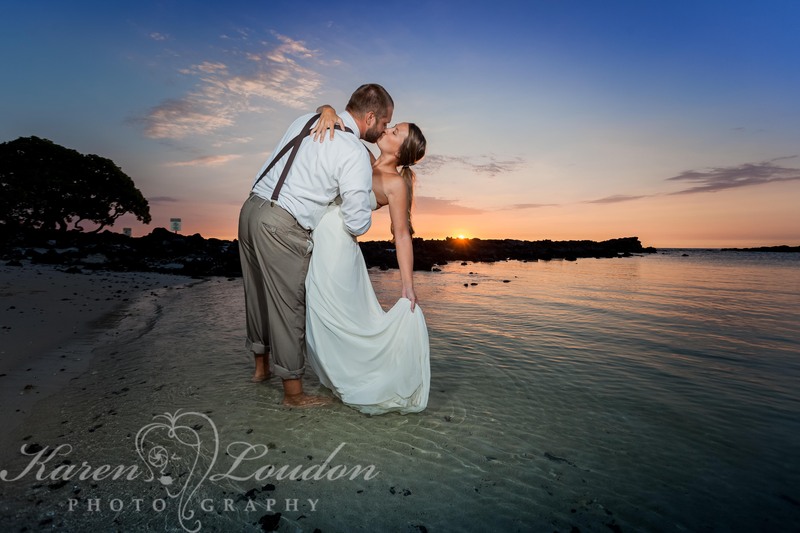 Today, a wedding dress represents a moment in time, and if you’re looking for something fun to do with that dress after the wedding, trash the dress photos may be just what you’re looking for! 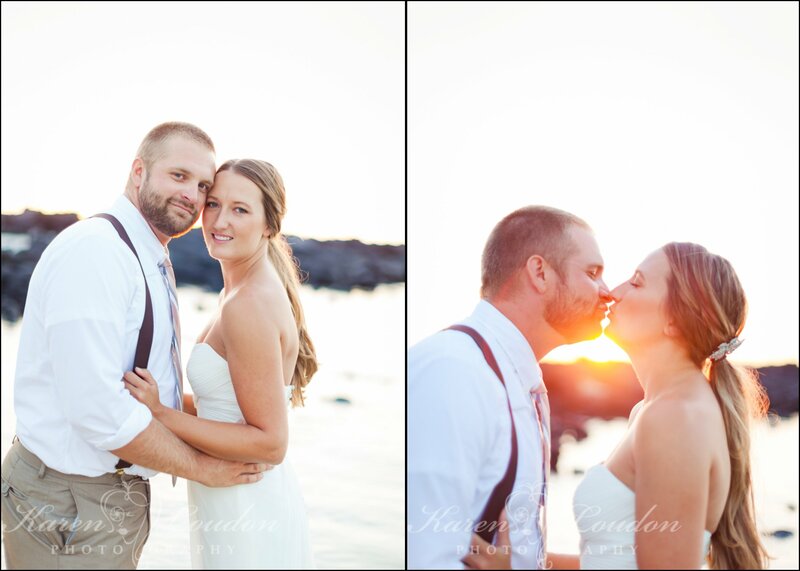 Your never gonna wear the dress again, right? 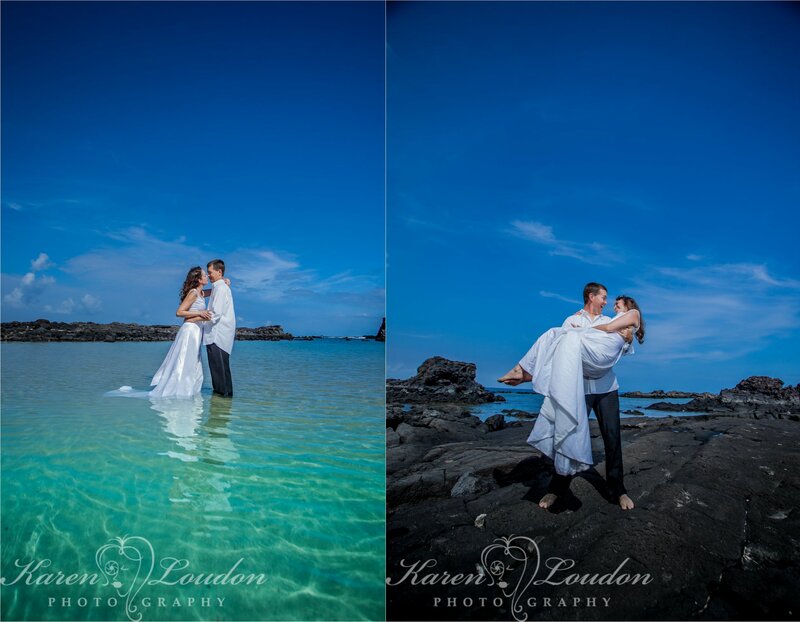 Get creative, “Trash the Dress” in your own special way! 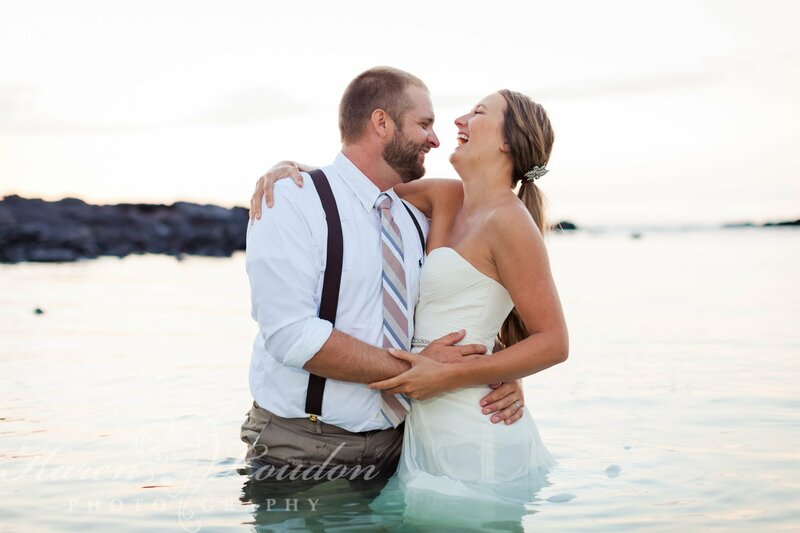 Melissa contacted me a few months ago and was interested in doing a trash the dress session with Kevin while on their Hawaii vacation “to celebrate their anniversary and the fact that her dress still fits after 2 babies and 15 years”. How great is that? 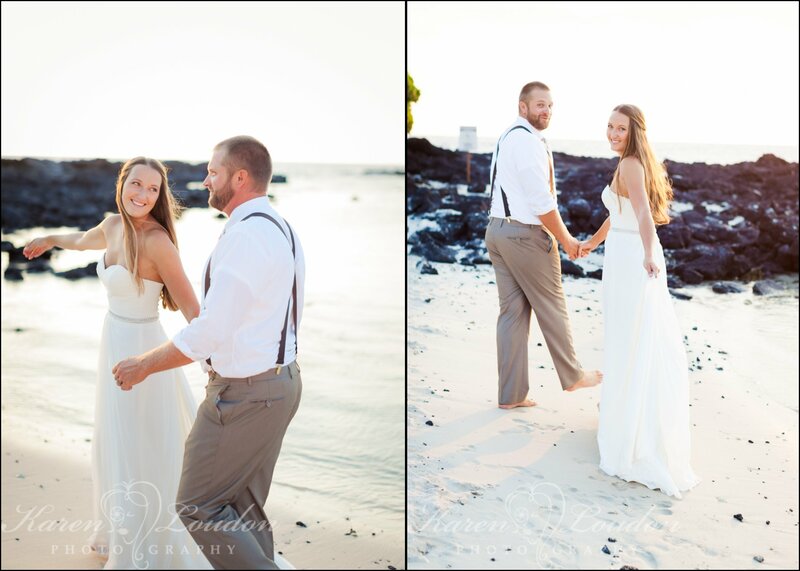 Melissa, Kevin and I met up a Kikaua Point, got in the water and had a great time and got some great shots. 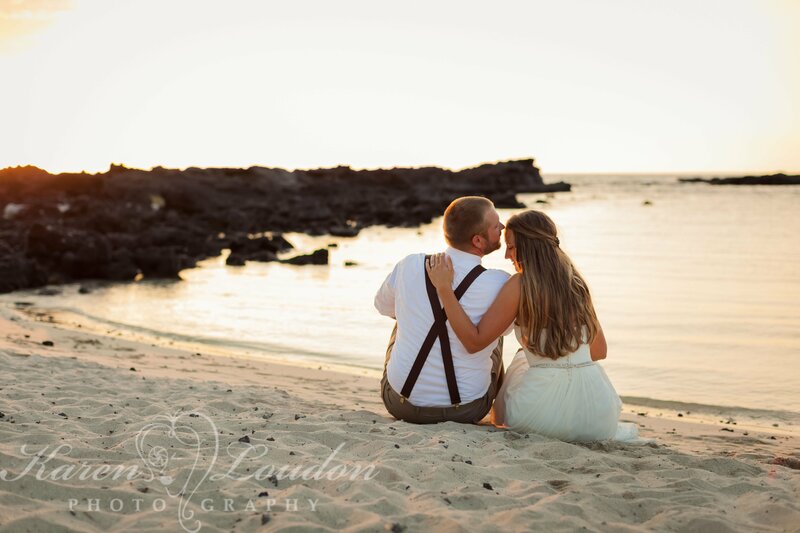 The hardest part of blogging has got to be narrowing down which images to include! 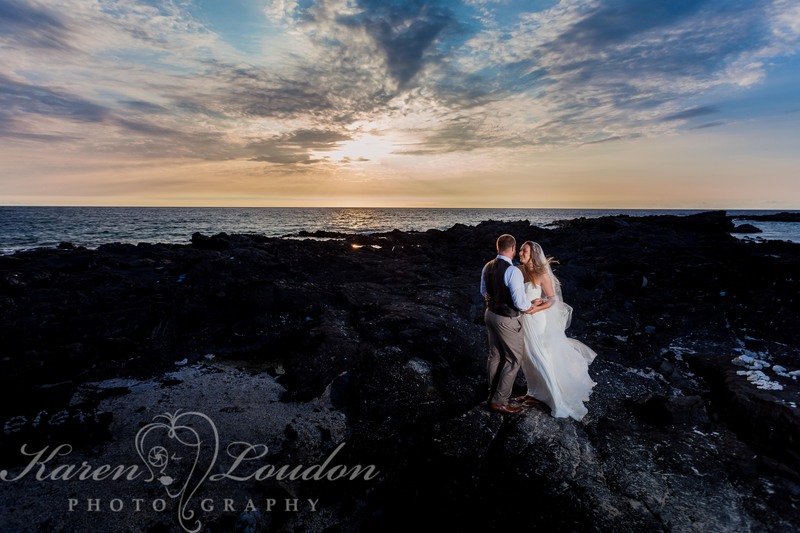 I hear over and over from my clients how hard it is to choose which images from the wedding to include in the wedding album and of course I can totally relate! 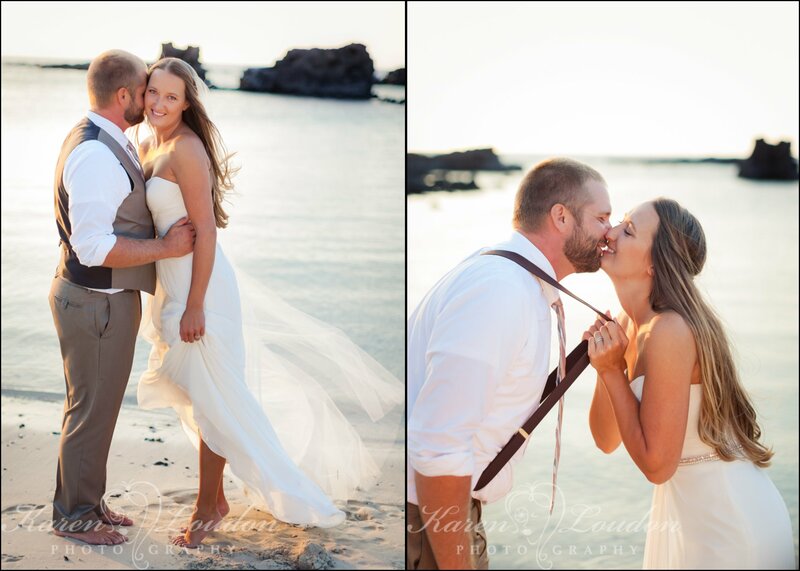 Here are a few from Melissa and Kevin’s trash the dress session…..